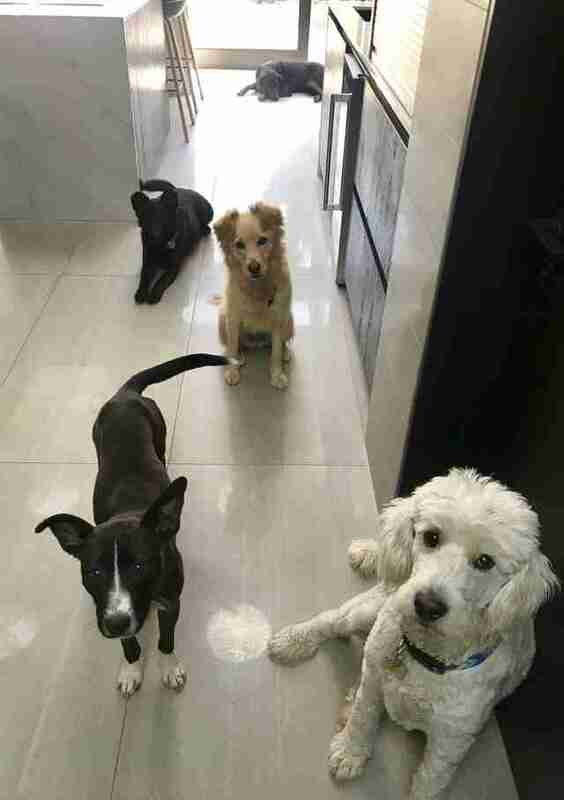 Beatriz Baranski Kaniak, her husband and their four rescue dogs had just moved into a new home in Chile in January, and everything was still a little under construction. They had workers going in and out of their home and yard all day long, and the front gate was often left open. 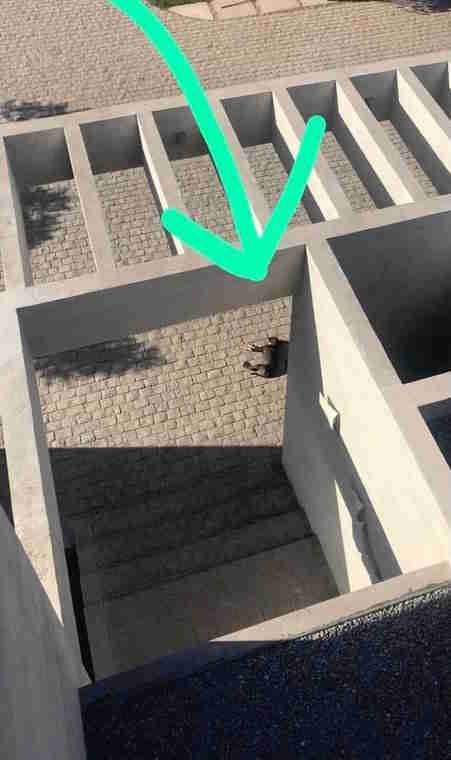 While they were getting things ready in the new house, the couple glanced out the window at one point — and saw a dog they’d never seen before, lying in the middle of their driveway. 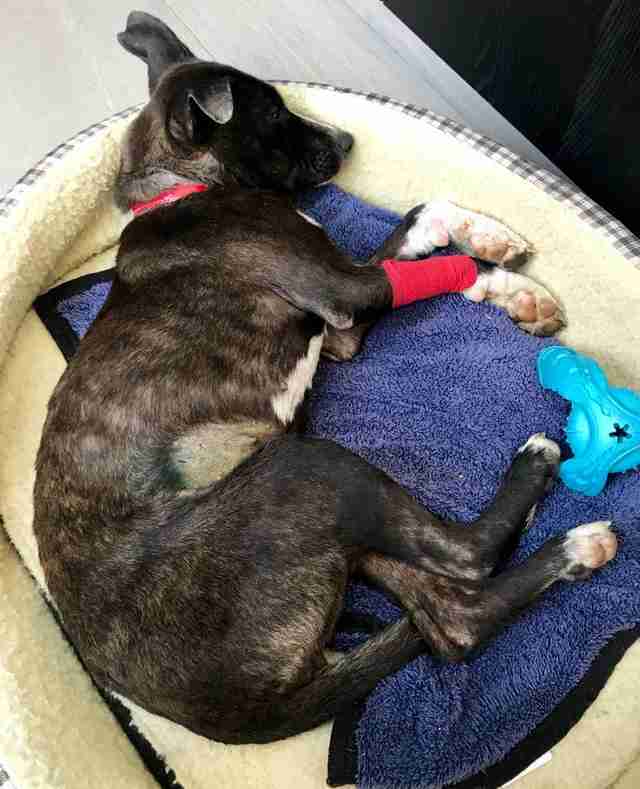 The poor dog, later named Cookie, seemed absolutely exhausted and was clearly in bad shape. It was almost as if she had chosen a random home to collapse in front of with the hope that the family inside would take her in. Luckily for her, that’s exactly how things ended up working out. Cookie was absolutely terrified when her new parents first approached her, and she couldn’t stop shaking. It didn’t take long before she began to realize she was finally safe, though, and soon she had completely fallen in love with her new family. Her four new dog siblings welcomed her into their pack immediately, and it was almost as if she was always meant to be a member of the family. Poor Cookie was in a terrible state when she first wandered into her family’s driveway, and her parents took her to the vet as soon as they could. 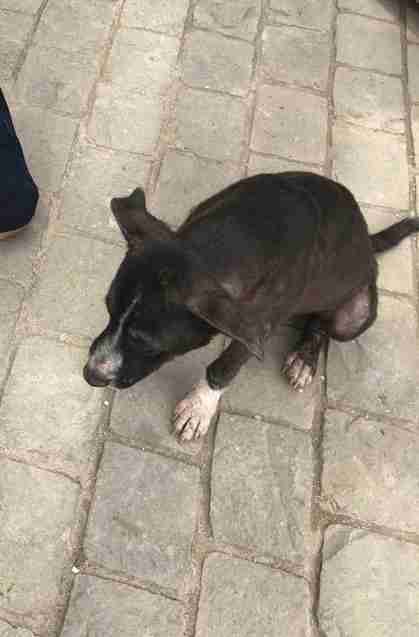 She was severely underweight and had major skin irritation all over her tiny body. The vet started her on medication right away, and her parents did everything they could to make sure she was comfortable and well cared for while she healed from her life on the streets. Cookie is now completely different from the scared, skinny little dog she was when she was first found. She has so much confidence and loves every single member of her family. 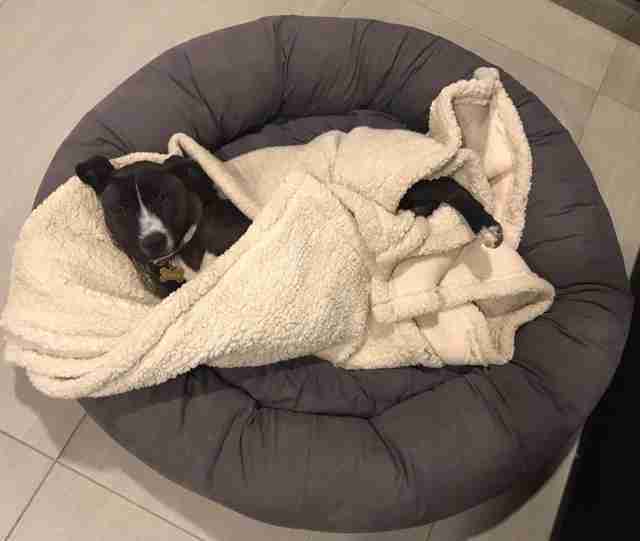 Her parents are amazed with how well she fits in, and couldn’t be happier that they decided to take a chance on the dog who wandered up to their home looking for a family.